Firebird Project has announced general availability of Firebird 3.0.1 - the first point release in the Firebird 3.0 series. This sub-release offers many bug fixes and also adds a few improvements, please refer to the Release Notes for the full list of changes. Binary kits for Windows and Linux on both 32-bit and 64-bit platforms are immediately available for download. Our new Firebird 3 Encryption Plugin will be available from October 1st, and included in all valid IBExpert Developer Studio editions and in the IBExpert Server Tools for use on the registered computer(s). A trial version is available immediately; if you are interested, please mail sales@ibexpert.biz. OEM Distribution and Source Code editions are available upon request. We are pleased to announce the opening of a new office location in Orlando, Florida in order to respond to increased demand for our services in the United States region. Our goal is to improve our capabilities to assist, support and consult clients throughout North and South America. Together with a professional development team in the USA and Germany we will be able to better meet our client needs. ... more. The Orlando IBExpert office is looking forward to welcoming our founder Holger Klemt in Orlando. 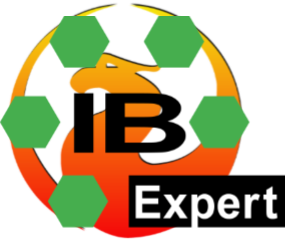 Holger will hold a 2 day IBExpert Firebird 2.x/3 Bootcamp covering Firebird administration/replication/security/performance topics October 26th-27th, 2016. All participants will have the chance to purchase all IBExpert software products at special Bootcamp rates! ... ... IBExpert Firebird 2.x/3 Bootcamp October 26th-27th, 2016 in Orlando, Florida, USA. "Three days pure Firebird: Firebird internals, Firebird replication, Firebird configuration, repairing Firebird, optimizing Firebird, basically: all things Firebird. It's not possible to pack more Firebird theory and practice into three days! "The very next day, following the recommendations, we set about configuring a new PC as a Firebird server, initially without any software optimization: a LIKE search across all data by customer name previously took about 15 seconds, with the new server 2 seconds. Price of the previous server: 3,500 €, price of the new FB-Server PC: 1,000 €. "We will need a few months to digest it all, and implement other parts of our newly gained knowledge. Thanks for the video recordings; they help enormously!" "We would like to thank you for an excellent workshop. We've really learnt a lot about Firebird and IBExpert. The following topics were particularly important for ourselves: transaction control und error detection; Firebird database replication; shadows; developing Client/Server apps; hardware recommendations and Firebird server configuration; upgrade to Firebird 3.0 and the advantages compared to Firebird 2.5. "PS: This was by far the best workshop I've ever participated in!" "The bootcamp was, as was my previous participation in several IBExpert courses or workshops, very informative. Customer projects that I have implemented and which have been in use for a long time (replication, archive database, log triggers, etc. ...), can now be extended and optimized even further on the basis of the newly acquired knowledge. "Working with IBExpert is continually improved, thus I can develop much faster in the database and integrate these improvements in customer projects and also in our ERP software. "Holger Klemt also constantly offers tips, advice and guidance based on his very long experience, among other things: what should be taken into consideration when implementing customer requirements, so that you can avoid a variety of "beginner mistakes" from the outset, which would otherwise make life very difficult later. "Participation in IBExpert workshops is firmly fixed in my schedule every 1-2 years." We still have some places available for the September and November dates! Book now to guarantee your place! A very interesting paper, which illustrates the flexible development of a Firebird replication: From the early beginnings of a database application to modern replication technology, concluding with key figures of a customer project. A must-read for anyone using or contemplating replication! You can download the White Paper here: PDF download. Find out more about IBExpert Firebird replication at our Bootcamps: We also offer both Firebird Bootcamps as corporate training at your premises. If interested please mail sales@ibexpert.biz and we will send you our written offer. And you can now book the IBExpert Firebird 3 Bootcamp and the IBExpert Firebird Admin Bootcamp for your customers. Details here: Firebird Bootcamps as corporate training. Have you ever tried to change all existing triggers, because they need to ignore the operation of a specific user? This is extremely easy using the IBEBlock scripting language and Firebird 2.x as you can see in this example, which will simply add another line of code if (current_user<>'R$') then begin after the first begin and an additional end at the end of the source code. This is used in our replication system to ignore operations initiated by the replication user R$. You can find many more IBEBlock examples in our online documentation: IBEBlock examples. From August 2016 onwards, IBExpert is offering an optional additional day to the Firebird 3 Bootcamps: The Firebird Admin Bootcamp (currently planned in German; if you're interested in an English-language course, please mail sales@ibexpert.biz). This one-day Bootcamp can be booked together with the IBExpert Firebird 3 Bootcamp or separately as an individual day course. You can book your place by email to sales@ibexpert.biz. We also offer both Firebird bootcamps as corporate training at your premises. If interested please mail sales@ibexpert.biz and we will send you our written offer. 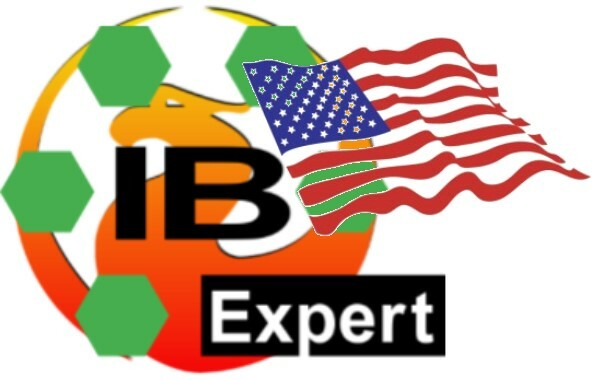 Benefit from the knowledge of the IBExpert database experts. From August 2016 onwards, IBExpert will once again be offering regular monthly workshops, currently planned in German (if you're interested in an English-language course, please mail sales@ibexpert.biz). The Firebird 3 Bootcamp is for admins and developers who have been actively working with Firebird for at least 2 years. The focus is on upgrading to Firebird 3 and optimization of your own database environment (also for Firebird 2.x). You can expect interesting talks covering all aspects of Firebird, IBExpert, Lazarus and Delphi development. The focus is on the practical application of the technologies and methods presented, which can also be implemented with other programming languages. ... read more here. Optionally you can also participate on the additional third day: IBExpert Firebird Admin Bootcamp?. Development cycles are becoming ever shorter and continual innovations mean that it is hardly possible any longer to provide a software product without a subscription service. This is nothing new or even surprising. It just means that in the foreseeable future nothing will remain as it is today and which we use and accept as a matter of fact. To keep up with progress, it is essential not to ignore new developments. Which also means that no one should work a long time without updates. Consequently, we have decided to discontinue the development and sale of the IBExpert Desktop Edition with immediate effect. There are many situations where it can be useful to create Firebird database diagrams to provide a better understanding of an existing database, or to aid the planning of new Firebird databases. The IBExpert Database Designer is a comprehensive tool, which allows database objects to be managed visually. View in our Learning Center or on our YouTube channel. Read the full documentation on our website: Database Designer. The German-language version is to be released shortly! Firebird 3.0 has been released! A very interesting paper about a customer project, where we developed multimaster replication for EPOS systems. This demonstrates just how efficient Firebird is, when using the right hardware and replication configuration. The Firebird Developer Days is the training event for Delphi and Lazarus developers who want to benefit from the knowledge of the IBExpert database experts. You can expect interesting talks covering all aspects of Firebird, IBExpert, Lazarus and Delphi development. The focus is on the practical application of the technologies and methods presented, which can also be implemented with other programming languages. You can view the range of planned topics here: English | German, and fees here. For participants from further afield Holger Klemt is offering an individual Power Workshop on the Thursday. Building upon a basic knowledge of replication, we will provide you with indepth knowledge on the subject of IBExpert and Firebird replication. Further information here. The Firebird Foundation have just published their roadmap and checklist for Firebird 4.0: http://www.firebirdsql.org/en/planning-board/. The first Alpha release is planned for later this year. The official Firebird 3 RC2 is now available for testing! Firebird Project announces the second Release Candidate of Firebird 3.0, the next major version of the Firebird relational database, which is now available for testing. This Release Candidate demonstrates the complete set of features and improvements developed for the new release. Release Candidates are generally considered stable enough and may be recommended for testing in “almost-production” environments. Please report about any found bugs to the bugtracker. Please read the Release Notes carefully before installing and testing this Release Candidate. Have you ever tried to find how many large duplicate files are taking up space on your storage system? We had the same idea and used some very easy IBExpert scripts to read all network files into a database. With about 8 million files on several NAS systems, the tools available in Microsoft Windows are not really helpful. Here you can find our solution, including sample code, using IBExpert's IBEBlock scripting language and a Firebird database for storing the inventory. View the full example in our IBBlock online documentation: IBExpert file system inventory tips and tricks. The official Firebird 3 RC1 is now available for testing! Firebird Project announces the first Release Candidate of Firebird 3.0, the next major version of the Firebird relational database, which is now available for testing. This Release Candidate demonstrates the complete set of features and improvements developed for the new release. Release Candidates are generally considered stable enough and may be recommended for testing in "almost-production" environments. Please report about any found bugs to the bugtracker. The Firebird Developer Days is the training event for Delphi and Lazarus developers who want to benefit from the knowledge of the IBExpert database experts. You can expect interesting talks covering all aspects of Firebird, IBExpert, Lazarus and Delphi development. The focus is on the practical application of the technologies and methods presented, which can also be implemented with other programming languages. You can view the range of planned topics here: English | German. If you are interested in the 3-day English-language Firebird Developer Days, please mail us at sales@ibexpert.biz. ... that every Firebird database up to version 2.5 has a built in "End of Life"? But don't worry, this isn't a problem at all, because with every backup and restore, the "End of Life" is reset. Here is a simple SQL statement to check the expected date on your current database, based on the creation date and the number of currently used transactions. Please note that as of 01 October 2015 we will have to increase the prices for all IBExpert software subscriptions by 20%. These price adjustments are necessary due to the extensive enhancements that are required for Firebird 3.0. You can purchase the necessary subscriptions for your IBExpert software at the previous price up to and including 30 September 2015. Please take advantage of this opportunity, even if your IBExpert software subscription is still valid. The extension of the subscription period will then be added to the current validity of your account in the IBExpert Download Center. You can find our new price list from 01 October 2015 as usual on our website under IBExpert products, services & prices. Pay the 12 month fee and you get the right to use the software for a full 24 months! Smaller companies pay our low introductory price for the IBExpert Company Year Edition S including 20 IBExpert Software activations. Order today by email to sales@ibexpert.biz, Re: Special offer 09/2015; this offer is only valid until 30th September 2015! You can find a detailed product description here. Visit us at the German Delphi Days!! The German Delphi Days are the major annual meeting of the German Delphi community. This year the event is taking place for the eleventh consecutive year and still attracts an ever-growing circle of participants. The workshops are being held from the 23rd to the 25th September organized by the Developer Experts. The main event follows on Saturday, 26th September. The Delphi Days have been extended this year for the first time to a total of four days. Read our newly published white paper: Firebird performance by numbers by Holger Klemt. This 4-day workshop for experienced developers offers participants a comprehensive insight, how to become successful using Lazarus as a replacement or supplement for Delphi. Firebird 3.0 packages are a new database object type, which allows the logical grouping of stored procedures and functions, similar to Oracle. Firebird 3.0 packages offer you possibilities to make your business logic more modular, offer security features, and facilitate permission management and dependency tracking. View in our Learning Center or on our YouTube channel. This brief introduction to Firebird 3.0 stored functions explains what they are and why you should use them. It also includes a simple example to demonstrate how they work. View in our Learning Center or on our YouTube channel. We guarantee 100% optimal Firebird performance!? Further information regarding our German-language Roadshow can be found on the IBExpert German website. We would like to present our new software model: the solution for virtual machines and cloud infrastructure. Trust the database experts for Firebird: IBExpert! The Firebird Project has announced the first official Beta release of Firebird 3.0 today, the next major version of the Firebird relational database. Please note: Beta releases are not encouraged for production usage or any other goals that require a stable system. They are, however, recommended for those users who want to help in identifying issues and bottlenecks thus allowing to progress faster through the Beta/RC stages towards the final release. Read our newly published white paper: Why typical Delphi projects often fail by Holger Klemt. Have you ever had the problem that you suddenly cannot open your Firebird/InterBase® database? Firebird won't allow you to back it up, and even gfix cannot solve the problem. Firebird indicates the nature of the problem (e.g. checksum error) and on which database page the problem has occurred, but you can't get at it to take a closer look. Use IBExpert Database Inside to extract and analyze your database metadata and data, without using the Firebird/InterBase® server or any of their tools at all! See just how easy it is, by viewing our online tutorial: Retrieve corrupt databases using IBExpert's Database Inside. Special offer IBExpert Day Edition! We have extended our special offer until 1st July 2014: 100 IBExpert Day Edition for just EUR 55.00 (normally EUR 99.00) when paying using PayPal. You can order directly in our online shop: enter the Promo Code 55555, and this special offer article will automatically added to your shopping cart. Once the PayPal payment has been received we will mail you the invoice and activate the 100 IBExpert Day registrations to your IBExpert Download Center account. You can find out more about the IBExpert Day Edition here. The cost-effective way to provide support to your customers! Take a look at the current extent of our Firebird 3.0 support: Firebird 3.0 features already implemented in IBExpert. And here you can view all new features introduced in our regular updates: What's New? Has your software expired? Purchase your software assurance by mailing your order to sales@ibexpert.biz. Is your software still valid for a software assurance product? Check our software conditions here?. We have not yet set a date for the next English-language IBExpert & Firebird Power Workshops. If you are interested, please mail sales@ibexpert.biz, and we'll let you know, as soon as we have more details. The white paper details the proposals made by IBExpert KG, specific to this client’s issues. We have decided to publish this paper, as we are sure that many other companies could benefit by some or all of the proposals. Should you be interested in having your Firebird-based application analyzed, please contact info@ibexpert.biz. The analysis can be performed on site or via remote connection. View in our online documentation or download the PDF Version. Book up to 6 hours live support via TeamViewer for only $ 999 USD (usual fee $ 1,500). This offer is available worldwide. IBExpert KG is the leading name in software development, architecture, database performance and tuning for InterBase® and Firebird databases. We offer a wide range of services all geared to enhance your database performance and to educate your staff to achieve the best results possible. Our services include (but are not limited to): Database Training, Performance and Tuning Consulting, Performance Management, Remote Support, as well as Upgrade and Migration Services. IBExpert KG clients range from startups up to international enterprises. We have expertise in a wide range of industrial sectors including financial, health, manufacturing, military, government agencies and many ecommerce businesses. IBExpert’s Remote Database Services allow continuous operation of your database application with optimal database performance. We can assist you with database management of performance issues, migration and database scalability solutions. Or maybe your InterBase® or Firebird Server is slow or not as reliable as you need it to be. Many IT organizations clearly see the benefit of our services to perform predictive analysis or to check for potential issues before the complaints start coming in. You no longer need to make compromises or accept substandard performance. We can help you! Call us for further information on +49 4408 359 3492 or mail info@ibexpert.biz. Special offer ONLY for our Facebook fans! Follow us on Facebook by clicking "Like" and you will be eligible to purchase an IBExpert Single License for only EUR 99.00! Simply mention your Facebook User Name when ordering. Should you have any questions, please mail info@ibexpert.biz or call +49 (0) 4408 3593492. Are you still using InterBase®? Perhaps you should think about changing to Firebird! Here is a blog entry that gives you a reason to seriously consider making the change! We have converted several customer databases from InterBase® to Firebird and all were very happy with the results. In typical cases we needed only 2 to 3 days to convert the database and review any existing code errors. By the way: since 2011 all new products created by IBExpert KG (except IBExpert Developer Studio, which is still compiled with Delphi 5) are implemented with Lazarus. We are very happy that we made the step. For all Pascal programmers, who do not want to change their language but also do not want to pay thousands of dollars or Euros per developer every year for buggy new Delphi versions, we recommend you consider using Lazarus. It is free, powerful and if you require it, we can offer commercial support and training. Do you want to purchase IBExpert Developer Studio to manage the database conversion as comfortable as possible? Purchase a new IBExpert license or Software Assurance in 2012! The year is drawing to a close, the temperatures are dropping, and the mulled wine tastes as good as ever! This is the ideal opportunity to finally purchase an IBExpert license or extend your current license. Please note: if you order by the 15th December 2012, then former IBExpert license owners may order our Software Assurance, even if the license has expired more than 12 months ago! You'd like to increase your number of licenses? No problem! If you order by the 15th December 2012 you can order any Software Assurance of a higher value. Example: up until now you've been using 3 IBExpert licenses; now you would like 5. Simply order the IBExpert Developer Studio 5 License Software Assurance for only € 439.00. Do you require a written quotation? Sessions can now be configured to log user and automatic sweep activity. Trace now produces statistics of actions that happen after a transaction has finished. It is now possible to use the API to do a remote backup/restore. A note is now written into firebird.log when an automatic sweep is started. All users upgrading from Firebird 2.5.1 are strongly advised to migrate databases using %newwingbak backup/restore, see the details in the release notes. Read / download release notes in HTML or PDF format. Go to the Firebird 2.5.2 Downloads page. This special offer is limited to the first 100 orders! Site License incl. all Updates for 12 months for only EUR 499 (regular price EUR 1,990), price excl. VAT, if applicable. If you purchase the IBExpert Site License Special Offer, we will create a license file for all computers/workstations used in your company. It is not necessary to register each workstation individually. It includes all updates for 12 months following date of purchase. Furthermore the Site License offers you the additional advantage of the IBExpert Developer Studio server editions, such as IBExpertBackupRestore and IBEBlock. Standard Site licenses cover an unlimited number of users at a single location of your company or organization. The full Site license conditions can be viewed and downloaded here. You need an IBExpert Site License for a number of locations for your enterprise, local government, school etc.? Details here: Enterprise Site License?. A single location is defined as the physical address (location) of the Site License purchaser. Users who are current employees of the company or organization at the physical address which purchased the Site License may use the software beyond this physical address (e.g. laptops) provided that at least 50% of the software use under the license is at the physical address of the Site License purchaser. Details of purchase and payment options can be found here?. If you have any further questions please mail sales@ibexpert.biz. All IBExpert features are enabled, for example performance analysis, stored procedure debugger, trace manager, etc. The ideal tool for on site customer support. You can order this special offer only in our online shop. Once the 100 Site Licenses have been ordered it will be removed from the shop. As long as you can see the product in the shop, your order is guaranteed at the advertised price, providing we receive payment within 2 working days following receipt of the order. We recommend payment using PayPal, so we can immediately deliver the product. Take advantage of this offer while you can! Are there perhaps some things in your database that you really should know about but don’t? Take advantage of our free offer and send us your current database statistics for analysis. Important: the statistics should be generated during runtime using the IBExpert menu item, Services / Database Statistics. Check the option Analyse average record and version length (Firebird >= 1.5, InterBase® >= 7), which can be found below the toolbar. Then simply click the Retrieve Statistics icon (green arrow) or press [F9] to start the retrieval process. Generate the statistics then save the contents of the Text window as a text file. If you also wish a free analysis of your server statistics then please include the interbase.log or firebird.log, found in the main Firebird or InterBase® directory. Finally send these files (compressed as a zip or 7z) to support@ibexpert.com. To ensure an optimal analysis, you should ideally generate the database statistics when as many users as possible are actively working simultaneously on the database. It would help us further, if you could generate two lots of database statistics taken within an hour, and send both of these to us. The results of our analysis could also be of great importance to you, if you are using third party software. Should there be foreseeable problems with the server or the database, it is important to recognize these quickly and develop strategies to avoid them actually occurring. We’ll get back to you within just a few days with a summary of the results. Don’t forget: this service is completely free and unconditional! Are you trying to find a solution for your database's problems? A database server installation is always an extremely complex project, even though the Firebird or InterBase® server requires a very low level of administration. Our experience with hundreds of installations has shown that a lot of servers have no real concept for critical situations. A daily backup is never tested, there is no plan how a new server should be set up should the original server crash, the server performance is lower than it was before, etc. Do not wait for the worst-case scenario to happen. The IBExpert Remote DBA service is designed for all Firebird and InterBase® users, but especially for those companies who have no large budget for their own Database Administrator. Depending on your wishes and your requirements you can order this with an annual, quarterly or monthly check. Find out how the Remote DBA works! When you order this service, we will propose a date/time to start the online session. This service is designed exactly to meet your needs, even if you have no experience with the details of the InterBase® or Firebird database server configuration. You can purchase our Remote DBA service directly in our online shop. We also offer reseller conditions for the IBExpert Remote DBA services. Please mail sales@ibexpert.biz for details. The IBExpert Desktop Edition is a single IBExpert IDE license for use on one computer or laptop. It does not include updates, a second home office license key, the command-line tools or the HKSCC tools, but does include all IBExpert IDE functions such as, for example, the Stored Procedure Debugger, Performance tools, etc. If you need these additional functions, please order the IBExpert Developer Studio. The price for the IBExpert Desktop Edition is EUR 79.00 per computer. (plus sales tax/VAT at the current German rate of 19% for all EU residents). The IBExpert Desktop Edition can only be purchased using this link on Share-it. Important for Brazilian customers: Share-it also supports Boleto bancário. Following receipt of payment, you will receive a download address for IBExpert Desktop Edition Setup. This version will show you a registration code for your machine. Please send this registration code to register@ibexpert.biz to receive the permanent key. The software can be used without entering the permanent key for 10 days. Please note: IBExpert Desktop Edition covers a single station. The permanent key is hardware dependent. A permanent key can be used only on the computer where the corresponding request was generated. Please make sure you do not try to activate your IBExpert Desktop Edition on another computer than the one where it is to be used. The IBExpert Desktop Edition might deny the permanent key, if the computer hardware is changed. In that case, you should send a request for a new permanent key from IBExpert. If you have any further questions please mail sales@ibexpert.biz. IBExpert Named User License for one User incl. all Updates for 12 months for only EUR 199 (regular price EUR 499), price excl. VAT, if applicable. A named user license is an exclusive licensure of rights assigned to a single named (first and last name) IBExpert license owner. The user will be named with their first and last name in the license file. Named user licenses allow the user to use IBExpert on multiple computers. The licensed named user (first and last name) can install IBExpert wherever he needs it and copy the license file to this computer. No additional keys are required to make IBExpert work. Order this special offer in our online shop now. Once the 100 Named User Licenses have been ordered, the offer will be removed from our shop. We recommend to pay using PayPal, so we can immediately deliver the product. Now we offer an IBExpert license model, where a single named user (first and last name) can exclusively install and use IBExpert on multiple machines. Full details of the IBExpert Named User License can be referred to here?. The IBExpert Named User License can be purchased in our online shop. Details of purchase and payment options can be found here. If you have any further questions please mail sales@ibexpert.biz. Firebird 2.5.1 (sub-release) is available! The Firebird Project is happy to announce the general availability of Firebird 2.5.1 - a minor release of the award-winning relational database management system. This sub-release introduces several bug fixes and many important improvements - for example, performance improvements during a database restore, the ability to write to global temporary tables in read-only databases, etc. For the full list of changes please refer to the Release Notes, Chapter 2 "New in Firebird 2.5". Firebird 2.5.1 has 100% compatible on-disk structure with Firebird 2.5.0, so it is recommended to migrate to 2.5.1 as soon as possible. To download Firebird 2.5.1, please visit the download section at the Firebird website: www.firebirdsql.org. Do you use the Firebird database? If you do, you’ve made an excellent choice, as the base architecture of all Firebird systems ensures that these platforms belong to the most stable of database systems available. But even a robust database system is dependent on the quality of the hardware and operating system software. And this is where dangers often lurk! Virtualization is the buzzword of modern computer architecture, but a critical factor is often considerably underestimated: even virtualized systems are prone to error, whether due to hardware failures on the host system, lack of space on the disk, or simply due to unexpected errors in the operating system on which the Firebird software is run. To prepare for such a worst-case scenario you have already set up a daily backup of the database, but is this backup regularly checked for consistency? How long does it take to restore? Is the user database also backed up? With a nightly backup cycle, a server failure at the end of the day means that all data collected that day is lost. And if you haven’t noticed until now that your backup mechanism, for whatever reason, cannot be restored, the problems are considerably greater. Even a snapshot of a virtual machine is not always a solution, even if it is available. And what happens if your server system is irreparable and must be replaced by a new one? How long does it take to get the server up and running again, if your administrator is on vacation? Is there any documentation for procedures to be taken in worst-case scenarios, for example, a fire in the server room? Our data security concept "Indestructible Firebird" is based on 20 years of experience dealing with our customers’ database systems. We offer tiered solutions customized to meet your individual requirements. Depending on the size of the database, the server speed and availability requirements of the server environment, we can offer various methods to safeguard your database system. You can download the US purchase order form here, and fax or mail it to Jan directly. And don't forget, we already have resellers in Poland?, Czech Republic? and Germany?! If you are interested in selling IBExpert products in your own country, please take a look at our Reseller page? or contact us directly at sales@ibexpert.biz. The Firebird Project team is happy to announce that the v.2.5.1 release candidate kits for Linux and Windows 32-bit and 64-bit platforms are ready for testing. MacOSX kits are delayed by a problem with MacOSX 10.7 (Lion) but should appear soon. Enjoy! And please report bugs or regressions to the firebird-devel list. In today’s globalized world, software applications can easily be marketed globally; the only hindrance often being due to legacy reasons, namely that they were not originally written supporting the Unicode standard UTF8. Current Delphi versions, Lazarus, Visual Studio and Java all support this standard; however many databases deployed today still use WIN1252, ISO8859_1 or even NONE. Often this is due to the lack of a quick and simple method to perform a quick and automated conversion into the new character set. IBExpert offers the ideal solution using its IBEBlock language. You can download our sample script (convert2utf8.sql), with which you can convert any Firebird database to UTF8. With only small adaptations a conversion can be made from character set NONE to, for example, ISO8859_1. Simply load the script into IBExpert’s SQL Editor, using an IBExpert full licensed version or the IBExpert Trial version, adjust the script variables to your directories and paths, and run. Without any further work, your database has now been converted to UTF8! You can purchase the IBExpert full version with full IBEBlock support in our online shop: purchase IBExpert full version. As a software manufacturer you can also automatically convert databases directly at your customers’, using the command-line version of our script interpreters, IBEScript.exe, or the DLL version, IBEScript.dll, using the Distribution License, which you can order in our online shop: IBEScript.exe Distribution license and IBEScript.dll Distribution license. Using the DLL version you can incorporate the complete language range of IBEScript directly into your software. Find out more about the functions of this language here: IBEBlock lanugage. Using IBEScript/IBEBlock technology you can copy data between databases, connect to ODBC sources, generate PDF files, send and receive emails, compare database structures, import and export data, and much more. A Distribution license costs only EUR 599.00 a year and can be distributed – without any limitations – together with your own software products to your customers. Do you require help with InterBase, Firebird, Delphi or IBExpert? IBExpert support hotline. The IBExpert Buddy license consists of two independent IBExpert Developer Studio licenses. Ask your friends or colleagues to join you and share the costs. You receive two independent registrations in our customer database each with their own access to the customer download area and including full access to all new IBExpert versions for 12 months following purchase. Important: when ordering please enter in the Comment field your name, address, email and computer name for your "buddy" as the owner of the second license. This offer is limited until the 30th June 2011! The venue and date for the next Brazilian Firebird Developers Day (FDD) has been announced. The conference will take place in Piracicaba-SP, at Unimep (the same place as in previous years), on 23 July 2011. More information will be published in May at the conference site. IMPORTANT! It has been found that v.2.5 Classic for Linux has problems with AST delivery if used with glibc 2.5. With glibc 2.7 it works properly. The situation with glibc 2.6 is unknown for now. If your glibc version is lower than v.2.7, it must be upgraded before using Firebird 2.5 Classic/Superclassic. Price includes shipping but excludes VAT/sales tax, where applicable. This license is USB stick-dependent. You can start IBExpert Developer Studio and all its modules on any computer where the dongle is connected to the computer. There is no additional computer-specific information required. With this license you can use the full IBExpert version at your customers’; the license will function as along as the USB stick is inserted. All IBExpert functionalities and features are available, for example, Performance Analysis, Stored Procedure Debugger, Trace Manager, and so on. This really is the ideal tool for customer support. You can purchase this product in our online shop. This offer is limited to 100 licenses; once the 100 have been sold, it will be removed from our online shop. As long as you can view the special offer item in our online shop, the offer is available and the price guaranteed, as long as we receive payment within two days following receipt of order. We recommend payment using PayPal, so that we can deliver immediately. You can of course, also request invoice payment. Take advantage of this unique offer and order today! Did you know that you can increase the speed of your application up to 500% simply by exchanging InterBase® or older Firebird versions with the newest Firebird 2.5? And best of all: Firebird is completely free - even for commercial applications. We will show you how to convert your BDE/IBX-driven application almost automatically! IBExpert Site License including all updates for 12 months - company license for an unlimited number of work stations at a single company location for only GBP 680 (regular price GBP 1,695). IBExpert Portable License including all updates for 12 months (The IBExpert Portable License is USB dongle-dependent, i.e. it is protected using a USB dongle. You can use and install IBExpert Developer Studio and all its modules wherever you want, but they will only work when the dongle is connected to the computer) for only GBP 199 (regular price GBP 319). Please register your participation here: sales@ibexpert.biz. See you in London on Monday, 28th February 2011! We will be supported by PeopleWare/ Belgium, and better office BeNeLux will join us. All roadshow participants will have the unique opportunity to purchase licenses at special offer rates, which will only be offered at the Roadshow! For example: 1 IBExpert Site License including all updates for 12 months - company license for an unlimited number of work stations at a single company location for only EUR 799 (regular price EUR 1,990). See you in Antwerp on Tuesday, 1st February 2011! Furthermore we will be joined by better office BeNeLux. All roadshow participants will have the unique opportunity to purchase licenses at special offer rates, which will only be offered at the Roadshow! For example: 1 IBExpert Site License including all updates for 12 months - company license for an unlimited number of work stations at a single company location for only EUR 799 (regular price EUR 1,990). See you in Eindhoven on Monday, 31st January 2011! Furthermore our reseller Manager and Firebird expert, Jiri Cincura, will talk about Firebird in the Czech Republic. 1 IBExpert Site License incl. all updates for 12 months - company license for an unlimited number of work stations at a single company location for only 699 EUR (respective price Czech currency) (regular 1,950 EUR). Payment can, if wished, be handled in Czech currency through our reseller Jiri Cincura. See you in Prague on Monday, 13th December 2010! Dále bude mít možnost dotázat se našeho resellera Mgr. Jiřího Činčury (Firebird specialista) na libovolné záludnosti, které Vás trápí při používání Firebirdu. 1 IBExpert Site License včetně všech updatů na jeden rok – license pro společnost pro neomezený počet stanic v jedné společnosti za 699 EUR (nebo odpovídající částka v Kč) (běžně 1950 EUR). Platby mohou být uskutečněny i v CZK přes našeho resellera Jiřího Činčuru. Registrujte se prosím na: sales@ibexpert.biz. IBExpert KG will be supported by its Polish reseller Anysoft. All participants will have the opportunity to purchase IBExpert products at special rates during the Roadshow. Payment can, if wished, be handled in Polish currency through our reseller Anysoft. Please register here: sales@ibexpert.biz for the free Roadshow. See you in Warsaw on Tuesday, 23rd November 2010! Wszyscy uczestnicy będ¹ mogli zakupić programy IBExpert w specjalnej cenie podczas Roadshow. Obsługę transakcji (w polskich złotych) zapewni AnySoft.pl. Zainteresowanych przybyciem na bezpłatną konferencję, prosimy o rejestrację tutaj: sales@ibexpert.biz. Do zobaczenia w Warszawie we wtorek 23 listopada 2010! The Firebird 2.5 release date is set to October 4, 2010. Join Philippe Makowski, President of Firebird Foundation, and Dmitry Yemanov, lead Firebird developer, at the Launch Webinar devoted to the 5th major release of Firebird. It will take place on October 4, 2010, at 13-00 GMT. See a full presentation of the final 2.5 release at this year's 8th Firebird Conference, November 11-13 2010 in Bremen, Germany. The 8th International Firebird Conference 2010 will take place from 11th-13th November for the first time in Bremen. IBExpert KG will bring together the best speakers of our industry with Firebird developers from all over the world to share the latest information on Firebird developments. The Firebird Conference gives the Firebird community an ideal opportunity to get an update on state-of-the-art technology. It will play an important role as the community event for all developers working with Firebird. On top of that you have the chance to get informed on the latest products, tools, services and additional technologies available on the market at the exhibition hosting numerous sponsors and exhibitors. Writing 32 + 64-Bit UDFs for Firebird using Pascal Language with Lazarus and Freepascal. Database conversions: UTF8 and other character set targets, owner change, etc. How to replace InterBase® with Firebird? Part time foreign keys: using flexible triggers to replace declarative foreign keys. Turbo Firebird: A Firebird performance comparison: 32/64 bit, virtual machines, multicore, ramdisk, harddisk, Linux, Windows, monitoring, etc. Lazarus, Freepascal and Firebird: native multiplatform development for Windows, Linux, Mac, 32 and 64 bit. Firebird, Apache and PHP-based web application: basic technology for mobile browser access, including iPad, iPhone and Android. New features in .NET provider for Firebird. Creating services for rich internet applications using Firebird and OData protocol. Open Source OLAP environment with Firebird. What is new in Firebird 2.5? The future of Firebird: Roadmap and Version 3.0. The full list of sessions can be viewed here. See you 11th-13th November 2010 in Bremen, Germany! Early Bird fee EUR 69 incl. 19% VAT. 10% discount when ordering 2 or more tickets. Access to 10 professional sessions held by world-class Firebird experts. All sessions are held in English by non-native speakers, so are easily understandable even for those with only a basic knowledge of English. Select between two simultaneous sessions. 15 minute breaks between sessions. Coffee breaks, cold drinks, lunch. A free EUR 50 voucher for IBExpert products. Early Bird fee EUR 719 incl. 19% VAT. Access to more than 30 professional sessions held by world-class Firebird experts. 10% discount when ordering 2 tickets. 20% discount when ordering 3 or more tickets. All sessions are held in English by non-native speakers, so easily understandable even for those with only a basic knowledge of English. Coffee breaks, cold drinks, lunch buffet. Participation in the Thursday and Friday evening dinner event. The first 30 purchasers of a business ticket get an additional voucher for the Mercedes-Benz "The Rock" experience: drive a Mercedes Benz GLK SUV in an offroad park with an experienced instructor. German video. The second 30 purchasers of a business ticket get an additional voucher for the Mercedes-Benz "Banked curve" experience: drive a Mercedes Benz on a test road with an experienced instructor. All purchasers receive a free voucher for visiting the Mercedes Benz factory, where a lot of fantastic cars such as the Mercedes Benz SL are created. Free download of all session video recordings after the conference. A free EUR 100 voucher for IBExpert products. The participation fee for the Firebird Conference 2010 includes the activities mentioned on the Firebird Conference 2010 website. The Early Bird fees apply for registrations received by the 11th October 2010. Registrations received after this date are subject to the regular price of EUR 89 for the one-day Private Ticket and EUR 899 for the three-day Business Ticket. All prices include VAT; this also applies to participants coming from abroad, EU and non-EU nations (§ 3a, UstG. ), as the event is being held in Germany. The participation fee is due immediately after billing. Participation is only possible if the total amount has been paid before the conference begins. Conference participation may be cancelled up until the 19th October 2010. All cancellations incur a cancellation fee of EUR 100 pro Ticket, not including VAT, charged by the organizers. Cancellation is not possible after this date and the full participation fee must be paid. The organizer reserves the right to change the conference program for organizational or other reasons. Payments will be reimbursed if the conference has to be cancelled by the organizer. The organizer accepts no further liability or claims. Should the conference have to be postponed, all conference registrations remain valid. Product and brand names are usually registered trademarks of the respective companies. Firebird Conference 2010 is an IBExpert KG event. The organizer holds all copyrights for the content of the conference. In case of any questions please send an email to sales@ibexpert.biz or call us at +49 (0) 4408 3593492. Prices subject to alteration. Errors and omissions excepted. We have just activated the new IBExpert Download Center 2.0. The technology is based on 100% Firebird with about 30 lines of PHP code and small parts created with HTML and Java Script-specific knowledge. With IBExpert you can develop database driven web applications simply and quickly! Learn the necessary techniques in our one day workshop. Yes! developers with Firebird experience need only one day to learn this technology. Ask sales@ibexpert.biz for details! Existing accounts should be still valid. Currently the new IBExpert Download Center gives you access to the free IBExpert free IBExpert Personal Edition. Within the next few days, we will also convert the Trial download? and customer download? area as well as the PDF documentation download to the new technology. All accounts can use their existing email address as the user name and the 8-digit number as password. 100 IBExpert Developer Studio 5 license packs for the price of 2! Yes, five full licenses including all updates for 12 months - for just EUR 378.00* - that's less than half the normal price! (The regular price for an IBExpert 5 License Pack is EUR 799.00). You can also order this product together with your friends. You get 5 individual customer logins! That's about EUR 75.00* per license! And each license also includes a second key for a laptop! This offer only applies to the first 100 direct orders placed in our online shop, so it's first come first serve! Once the 100 licenses have been ordered it will be removed from the shop. Take advantage of this offer while you can! IBExpert KG is proud to add Orean® Technologies' advanced Windows software protection system, Themida®, to its product range. Themida® has been developed for software developers who wish to protect their applications against advanced reverse engineering and software cracking. We will be using this product ourselves from the next version onwards to protect IBExpert against cracks. 100 IBEScript.exe or IBEScript.dll Distribution Licenses including 10 years free udpates and 10 years distribution rights. Yes, that really is 10 years download access to all the newest IBEScript versions and permission to distribute the product with your own application for just EUR 499.00* each (normally these products would cost EUR 4990.00* each!). This only applies to the first 100 direct orders placed in our online shop, so it's first come first serve! Once the 100 licenses have been ordered this offer will be removed from the shop. Take advantage of this offer while you can! IBExpert is 10 years old! IBExpert is celebrating its 10th birthday in 2010 (coincidentally, Firebird is as well). You can look forward to a range of special offers throughout the year. We will culminate our anniversary celebrations at the Firebird and IBExpert Conference in November 2010. Our first offer is for 100 IBExpert Single License including 10 years free udpates. Yes, that really is 10 years download access to all the newest IBExpert versions for just EUR 249.00* (normally this product would cost EUR 990.00*!). This only applies to the first 100 direct orders placed in our online shop, so it's first come first serve! Once the 100 licenses have been ordered it will be removed from the shop. Take advantage of this offer while you can! Download and view all session videos from the Firebird Conference 2009, held in Munich, Germany, for only EUR 59.00. Full list of contents can be found here?. Do you occasionally need a "mobile" IBExpert license – to use on a test workstation, to take with you when you are out and about, or to analyse or update a customer’s database? For all IBExpert users who regularly use IBExpert themselves, and occasionally need a temporary IBExpert license for database analysis and administration on their customer’s or test workstations, we have now introduced the IBExpert Portable License. This license is USB dongle-dependent, i.e. it is protected using a USB dongle. You can use and install IBExpert Developer Studio and all its modules wherever you want, but they will only work when the dongle is connected to the computer. There is no additional computer-specific information required. It is also permitted to use this specific license on your customer’s computer, but it will only work with the dongle connected to the computer. The download keys are dispatched physically together with the USB dongle via Hermes, UPS or DHL on the first working day following receipt of payment. Important: When you order this product, you must select the physical shipping "Hermes, UPS or DHL". Order your IBExpert Portable License here. IBExpert KG is bringing together the best international speakers in the industry to share the latest Firebird developments with Firebird developers from all over the world. Ticket prices start at just EUR 62.10. Location: IBExpert KG Training Center, Oldenburger Strasse 233, 26203 Wardenburg (near to Bremen in North Germany). Course contents and details here. Reserve your place in our online shop. Have you already purchased another product for the administration of your Firebird and InterBase® databases, for example, Firebird Maestro, EMS SQL Management Studio for Firebird/InterBase®, SQLLY Firebird/InterBase® Development Studio or Upscene Database Workbench? Then take advantage of our summer offer: You can purchase a cross upgrade to one of the IBExpert Full versions at special reduced rates (see below) for a limited period only. Important: Your order can only be processed if you send us a copy of the original invoice by email to sales@ibexpert.biz or fax to +49 (0) 4408 3593499. All orders must be received by August 30th, 2009. Further information regarding IBExpert can be found here. Further information regarding the various IBExpert licenses can be found here. With Internet Explorer you can view our Powerpoint films: IBExpert (13 min.) or IBExpert (6 min.). Our standard update extension product, IBExpert Software Assurance?, is available to extend your IBExpert update eligibility for a further 12 months. This entitles you to download all new published software versions for 12 months following the expiry date of your previous license. As a number of customers have requested an extension of this update period to 2 years or longer, we would like to inform all our customers that this is of course possible! Simply mail sales@ibexpert.biz for a written offer. Software Assurance can be purchased at any time during the 12 month period that your license is valid. Any remaining time on your current valid license will be added onto the Software Assurance period. Should the update period have expired, it is possible to purchase Software Assurance within 12 months of the license expiry date. The standard 12 month Software Assurance can be purchased directly in our online shop?. Do you use open source software for commercial applications? Due to recent customer feedback regarding written warnings being circulated in the Firebird world, IBExpert KG has decided to dedicate a workshop to the subject of open source licenses. Open source software has, over the years, modernized and even revolutionized many areas. There is hardly a commercial product today that is completely without open source components: the database server, a certain DLL or even complete source code modules are soon integrated into a developing application. If license conditions are not met or simply ignored, this can, often surprisingly, lead to a costly warnings from the software owner, which leads to unnecessary expense. Summary of the most popular open source projects in the Firebird environment and their licenses. When do which licenses apply? Incorporating and using modules and DLLs with different licenses. Basic principles when a written warning is received: how to react. Important: this workshop should not be construed as legal advice, but as a collation of the most important information regarding open source licensing rights as well as a discussion podium for companies who have been affected by this. Project managers, CEOs, managing directors, company owners. IBExpert KG Training Center, Oldenburger Strasse 233, 26203 Wardenburg, Germany. The fee per Person per workshop is EUR 249.00. You can reserve your place on this German-language workshop in our onine shop. When ordering online please note in the Comments box which date you wish to attend. Of course, we also offer this workshop in English. Please contact sales@ibexpert.biz for a written offer. Firebird & .NET Entity Framework: Use the full power of .NET & Entity Framework with Firebird. Programming .NET & Firebird: Developing & fine-tuning your Firebird/.NET application. Using the Power Threading Library for better multi-threaded applications: Learn how to build better multi-threaded applications. New features in C# 4.0 & .NET 4.0: Expand your skills with the new features in C# 4.0 & .NET 4.0. New fine-grained parallelism in .NET 4.0: Build applications that utilize the full computing power. You can find further details of individual courses here: IBExpert .NET Workshops?. We can of course offer workshops individually customized to suit your enterprise. Please contact sales@ibexpert.biz for a written offer. Special offer: you name the price! Offer what the product is really worth to you! Enter the price that you find economically reasonable in our special order form and fax your binding offer to +49 (0) 4408 3593499 or send the scanned version by email to sales@ibexpert.biz. If you are among the 100 best offers received within the next 5 days (May 28th 2009 18:00 CET), we will charge your credit card to the amount entered on the order form and email you the download keys and license file. If your bid is not among the 100 best offers, we will notify you by email. Companies based in Europe can also pay for their offer, if accepted, by invoice and bank transfer. For payments from companies outside Europe we require valid credit card details. Today we have seen the roadmap for the next Delphi® version shown on http://www.delphilive.com. It is now official that Delphi® will in future provide official support for Firebird: a Firebird DBX driver will be added in the next version. Really great news for all Firebird and Delphi® users! IBExpert KG will be at the DelphiLive conference from May 13th until May 16th 2009 at the San Jose Marriott Hotel, South Market Street 301, San Jose, California 95113, United States. The main conference site can be found here: http://www.delphilive.com. If you wish to register for the DelphiLive conference, just send us an email: we can offer a special package at 5% discount on the regular prices. On May 13th 2009 we would like to invite all those interested to an IBExpert customer meeting. Starting at 10am you can visit our Team in San Jose and attend a free IBExpert and Firebird Workshop. We request prior registration to give us an idea how many people wish to attend. Please mail your registration request to sales@ibexpert.biz, providing your complete email address and the full names of all persons wishing to attend. The registration deadline is May 11th 2009. You are not yet an IBExpert customer? No problem, all IBExpert products can be purchased at the customer meeting at a special rate. Only at this event and at the DelphLive Conference will you have the unique opportunity to purchase all our products at the Euro price converted 1:1 to US$. You have no time to visit us there? Just contact sales@ibexpert.biz for a special quote. IBExpert KG is highly successful in the German and European markets. We are market leaders when it comes to Firebird open source database products and support, and our references include some of the largest European enterprises. We are currently looking for active resellers and partners worldwide. Please contact sales@ibexpert.biz with your company profile or request a meeting in San Jose with our CEO Holger Klemt. We are in the USA until May 19th 2009. Seize the opportunity to be part of the growing open source database market and find out why Firebird is the most used open source database with millions of installations in commercial applications worldwide. Two days packed solid with knowledge for professional software development (German-language only). You can find out more about the workshop contents here?. This workshop will also include a brief introduction to IBExpertOOP Framework? : learn how quickly it is possible to construct a simple customer and product adminstration, and which steps are necessary to integrate your own complex forms. You can book your place at our online shop. Should you be interested in participating in such a workshop held in English, please mail sales@ibexpert.biz. Tip: The German "Delphitage" (Delphi Days) is being held in Hamburg on June 6th 2009. Why not combine our workshop with a visit to this event? Further information regarding the Delphitage can be found here: http://www.delphi-tage.de. Pay as much as you want for IBExpert VAR License! Enter the price that you find economically reasonable in our special order form and fax your binding offer to +49 (0) 4408 3593499 or send the scanned version by email to sales@ibexpert.biz. If you are among the 100 highest offers received within the next 5 days (31st March 2009 18:00 CET), we will charge your credit card to the amount entered on the order form and email you the download keys and license file. If your bid is not among the 100 best offers, we will notify you by email. Companies based in Europe can also pay for their offer, if accepted, by invoice and bank transfer. For payments from companies outside Europe we require valid credit card details. You can now order IBExpert products in our online shop and select the payment type credit card. It is no longer necessary to open a Paypal account. After you have completed your order, please enter your credit card details (Visa or MasterCard) on our mail order fax which can be downloaded here. IBExpert KG has today announced its next series of workshops to be held at its German premises in March 2009. Five days packed solid with knowledge for professional software development. You can book your place at our online shop. If Germany is too far for you to travel, we can come to you. Contact us at sales@ibexpert.biz detailing your requirements and we will send you a written offer. Upgrade to an IBExpert Site or VAR License now - for all all registered single license customers or for customers with expired licenses - only until December 31, 2008! With the introduction of our new license structure on December 1, 2008 it is no longer possible to upgrade a license simply by purchasing the respective Software Assurance (refer to Software Assurance? and Upgrade?). Special offer: for all customers with registered single license(s) whether still valid or expired, we are offering until December 31, 2008 a unique chance to upgrade to a higher version (Site or VAR license) simply by purchasing the respective Software Assurance (update extension) license. Prices of the various Software Assurance licenses can be found here. (update extension) for our IBExpert products starting 1st December, 2008! Due to the fact that more and more IBExpert customers are responsible for the administration of standard or individual software packages based on the Firebird or InterBase® database engine, we have created new products especially to meet their needs. IBExpert Remote DBA - annual, quarterly or monthly analysis of your database. IBExpert Server Tools - a fully functional IBExpert version without the IBExpert IDE. IBExpert Software Assurance? - extend the update eligibility of your license for a further 12 months. Today we have uploaded the newest IBExpert version 2008.11.18 for you to download. Important: we have changed all valid license keys for the registration process and download area. The new keys will only work with version 2008.11.18 or higher. The new keys have been dispatched to all registered users via email. 1. Database Comparer 2. Procedure Editor 3. PSQL parser 4. Create SUID procedures 5. Blob Viewer/Editor 7. User Manager 8. Script Editor, IBEScript 9. Database Monitoring 10. SP/Trigger debugger 11. View Editor 12. Extract Metadata 13. IBEBlock 14. A lot of minor bug fixes and small improvements... 15. Download username and registration keys changed 16. Firebird database review and performance optimization workshop? You can find documentation of all new features and options on What's new page in our online documentation. The Customer version (setup_customer.exe) can be downloaded here? (for customers with valid license keys). The Trial version (setup_trial.exe) can be downloaded here? (45 day test version). The free Personal version (setup_personal.exe) can be downloaded here? (version with limited features free of charge). All users registered for the IBExpert Download Center may download the videos recorded at the European IBExpert and Firebird Roadshow. These include approximately 6 hours of information regarding performance tools, IBExpert functionality, the IBEBlock scripting language and many useful tips for Firebird and InterBase® administration and development. To access use your email address as the user name and your password for the IBExpert Download Center. Here you can find more about the contents.? Important: Only the most recent IBExpert versions should be used with the new Firebird and InterBase® versions. This not only enables proper use of all functionalities but also avoids any problems which may arise due to the API and functional changes in the database engines. Because of changes to our website, we would like to give you an overview where you can download your most current IBExpert Version. If your customer license has already expired, you should open our shop on http://www.ibexpert.net/shop and order your license extension from the product group extension/updates/upgrades. Firebird Training videos now online on Google video! The videos were filmed during last year's Firebird Conference and provide a comprehensive insight into Firebird's database technology. Access to these films (a total of 8 hours) is free of charge. We can review and optimize review your application: Firebird database review workshop?. You can also book this workshop for InterBase®! 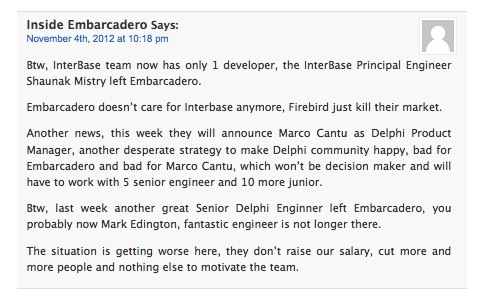 The forum is focused on Firebird-specific topics for developers. The main topics include Delphi®, .NET®, Java® and PHP. If requested we can also add new areas or boards for specific languages. The forum runs on Windows® 2003 Server, Apache™ web server, the current PHP version, phpBB 3.01 and Firebird 2.1. The installation is easier than it seems, especially since IBExpert comes along with an integrated Apache™ and PHP version with Firebird support. Firebird 2.1 is available. Why should I change? Compared to Firebird 1.5, Version 2.X is typically 40% faster. With the changes to version 2.1 the network protocol has been improved and this results in approximately 40% more speed for network access. To make the upgrade from version 1.5 easier, there are some new parameters in version 2.1 such as RELAXEDALIASCHECKING, which help to avoid the more strict alias checking. This results in an easier conversion of Firebird 1.5 databases and applications, which can typically work on Firebird 2.1 without any changes having to be made. Another important feature can be found in the new monitor system tables, which allow better control and a deeper insight into the Firebird server activity. More information and offers for conversion workshops here?. 1. 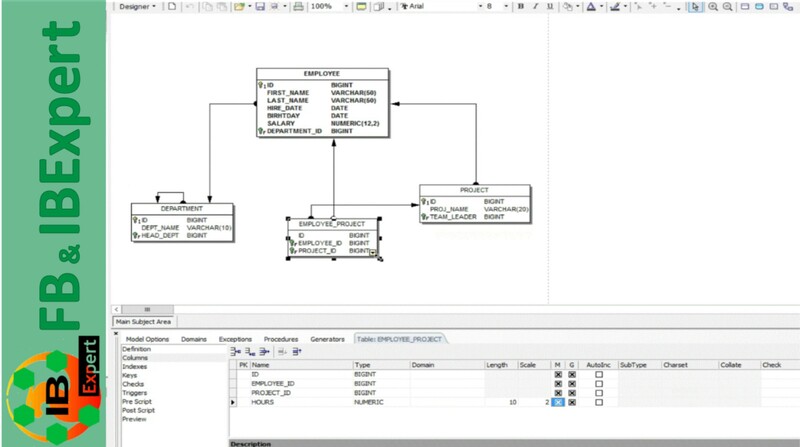 Paradox2Firebird workshop: convert your Delphi®/BDE app now. 2. Firebird database review workshop:? improve performance. 3. Firebird database replication and clustering?. Here you can find further information and prices.